In 2007 the Spanish brothers Iker Bengoa (guitars) and Iñi Bengoa (vocals) started the band Childrain. The other members of Childrain’s first line-up have left the band in the time that followed. They have been replaced by Álvaro Forondo (guitars), Mikel Gómez (drums) and Julen Rodríguez (bass). In 2008 Childrain’s debut EP, titled A Place Between Hell & Heaven, was released. In 2011 this debut EP got a successor in the form of debut full-length Life Show. In 2013 and 2015 the albums A Fairy Tale for the Dissent and Matheria followed. On March the 29th a fourth Childrain-album will be released. This album will be titled The Silver Ghost and will be released via Graviton Music Services. They also have upcoming touring plans already. In April they will be on their first international tour supporting Six Feet Under. Album opener Wake The Ghost immediately starts nice. Don’t let the quiet guitar at the start mislead you, because it will soon build up with groovy drums and tight riffs to get more pounding. It soon is clear that Childrain’s music contains a very grooving vibe. Wake The Ghost is a very promising album opener that already pounds quite a lot, but this track also shows that Childrain can put more melody into their music in a well-done way. Speaking about more melody, the next track, Saviors of the Earth, is a very good example of that, starting with an almost 80’s hardrock-like vibe. This track still is quite heavy, but contains a lot more melody than Wake The Ghost. Especially guitar-wise it sounds a bit less heavy. Vocally Iñi displays raw vocals as well as more clean vocals, besides at some moments a very heavy growl. He surely shows that he can do a lot with his voice. His vocals sound very nice and intense, during the entire album, it doesn’t matter in what style. Instrumentally the guitar and drums are very important on this album, with the guitar probably being the most important of those, because most of the variation on The Silver Ghost comes from the guitars. Generally variation is something that is present a lot on this album. Besides melodic parts and tight riffs, there also are a lot of rhythm changes to be found. Of course we must also mention the awesome solo’s, like in Eon and The Valley of Hope. The latter one is also a very good example of the earlier mentioned rhythm changes. This track can pound very heavily, including a roaring bass, but at same time it can be very melodic. It even contains a very melodic part including clean vocals. The guitar might have the most important role of the instruments on this album, but the drums are pretty important on it as well. Of course the drums are a very solid backbone, but they also sound extremely intense and pounding. To get an example of this, be sure to check out Ten Thousand Moons. Two other very interesting tracks on The Silver Ghost are the resting point of the album, compared to the other tracks, Saturnia, and closing track Omega. Saturnia starts a bit doomy/sludgy with the tempo being a bit slower than the other tracks on this album. Melodic post metal would be a perfect description for this track, which contains a chorus that can be sang along a lot with when played live. Speaking of imagining live versions of tracks: closing track Omega seems a perfect track that can become a true epic live-classic. It pounds enormously, but at times it also sounds very epic and possibly to shout along with. This surely is a very nice closing track that will let you think back about this awesome album. A track that makes you tend to start the entire album all over again right after it ended. 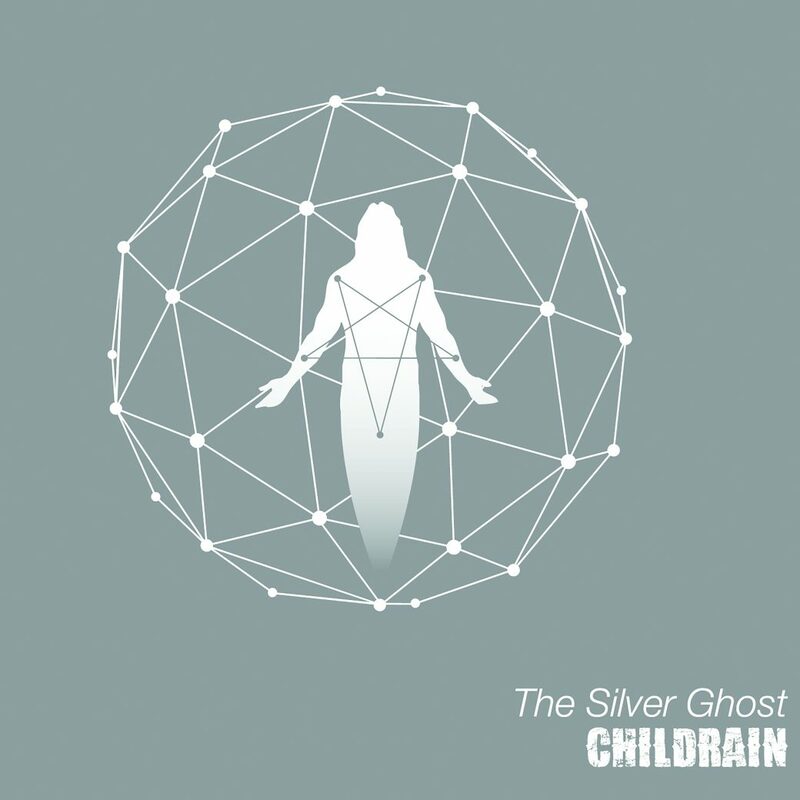 With The Silver Ghost Childrain delivers an amazing album with a lot of variation and a perfect combination of melody and heaviness, which sometimes are to be heard interchanged, but can also be heard at the same time. This surely is an album that is interesting from the very first to the very last seconds.